Who said C? You’re right! The hidden start menu, or the Power users’ menu (which is not really either)… actually it’s just an extra start menu that you can access by right-clicking the Windows 10 start button. Or, if you’re a keyboard shortcut fan like us, you can open this menu by holding down the Windows key and tapping X. 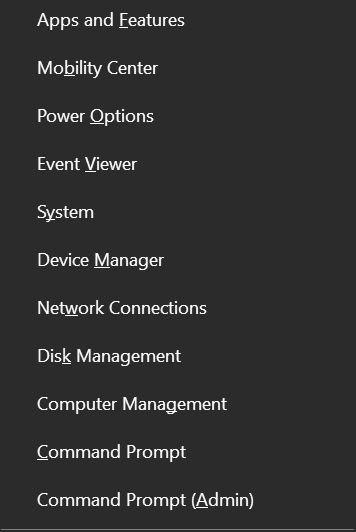 Why does mine say Command Prompt and Command Prompt (Admin), but yours probably says Windows PowerShell? I changed mine because I use Command Prompt a lot more than Windows PowerShell. If you do too, you can change yours from PowerShell to Command Prompt just as easy as flipping a switch. OK that’s it. Hope you did well on our little Windows 10 test!